This year, tickets are virtual. Each ticket is $10. Children under 2 Years old are free. Once you complete your purchase, please print your ticket(s) or save pictures of them on your phone to present them electronically at the door. 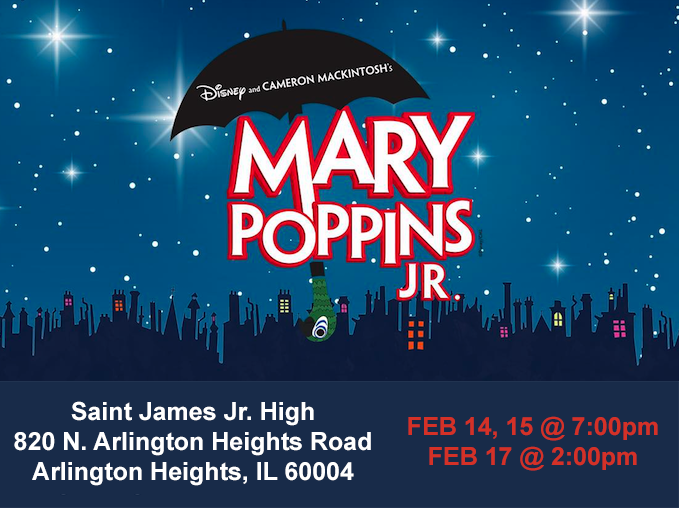 If you wish to have tickets available for friends and family please email them their ticket or drop off the printed tickets before the performance at will call in the Parish Center. While children age 2 and over need a ticket, there will be floor mats setup in the front for children to enjoy the show easily without any obstruction. TICKETS ARE SELLING OUT FAST! IF TICKETS ARE SOLD OUT ON OUR WEBSITE, TICKETS WLL STILL BE SOLD AT THE DOOR FOR $10 each (Best Seats Available). THANK YOU!